The Porsche 911 Carrera 4S Cabriolet is a car that wants you to drive it for hours on end. In order to accommodate that, it offers exceptional performance, power, and fuel economy. It also offers an audio system that will let you rock out to your favorite tunes in high definition while cruising through southern Florida with the top down. A few technological conveniences like cruise control and built-in GPS navigation also help make sure you almost never have to stop driving once you start. 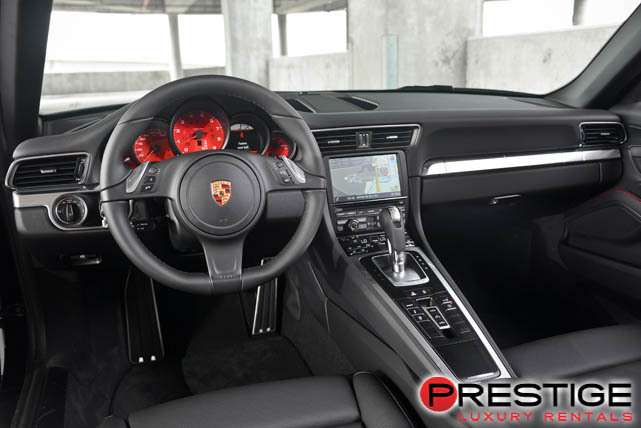 You Porsche 911 4S Cabriolet rental from Luxury Car Rental Miami is the kind of car that will make you want to visit all of the outdoor attractions. If you are feeling really adventurous, you can take a trip down to the Everglades, but there isn’t much reason to since Miami offers a wide range of outdoor attractions like the Zoological Wildlife Foundation, Lummus Park Beach, or even wind surfing in Biscayne Bay. When you finally tire, drop your car off with the valet at Churchill Suites Monte Carlo and enjoy an evening in swank luxury.